Drawing inspiration from the works of Vincent van Gogh, Claude Monet, and George Seurat, students will learn about the history and techniques associated with the Impressionist movement, and gain an understanding of the elements of visual art such as line, shape, form, color and texture. 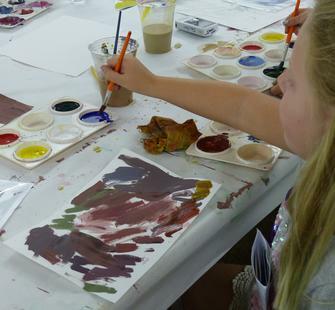 Next, campers will use these insights and techniques to produce their own masterpieces. Guided exercises, careful looking, and musical inspiration will all enhance the process and encourage self-expression.